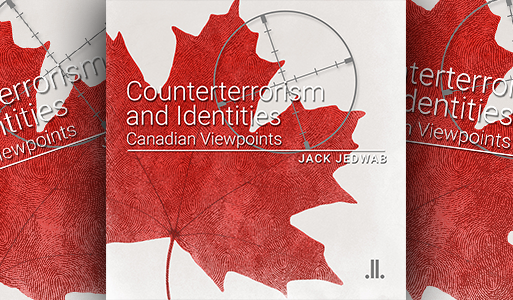 Jack Jedwab, Counterterrorism and Identities: Canadian Viewpoints. Montreal: Linda Leith Publishing, 2015. 195 pages. At the launch last fall of Counterterrorism and Identities: Canadian Viewpoints, Jack Jedwab made the unremarkable confession that he has a lifelong love of numbers. 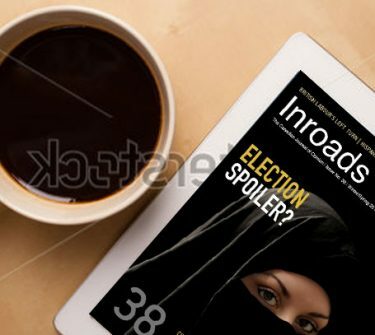 Readers who share his fondness for numbers will more fully appreciate this book, centred around an extensive set of polling data on topics that include Canadians’ understanding of terrorism, their competing identities and sense of security, religion and counterterrorism, and civil liberties. The launch occurred at a very opportune time, just days after the November 13 atrocities in Paris and only a few weeks after the October 19 federal election that ended a decade of Conservative rule in Canada. National security had featured prominently in the governing party’s campaign. The opposition parties were portrayed as soft on terrorism and too willing to accept “barbaric cultural practices,” widely perceived as code words aimed at Muslims, a handy political target in many Western countries. No less a personage than National Post founder and columnist Conrad Black denounced the Conservative campaign as “a pastiche of contemptible low-balling and fear-mongering.” However, it is reasonable to conjecture that, had voters gone to the polls after the deadly attacks in Paris, the election results might have been quite different. Jedwab is president of the Association for Canadian Studies and the Canadian Institute of Identities and Migration. He is a former executive director of the Quebec Region of the Canadian Jewish Congress and also a former university lecturer, teaching courses on the history of immigration in Quebec and on ethnic and official language minorities. This background is obviously useful in analyzing the issues he raises in the book. Among his more alarming findings is that 47 per cent of Canadians would be willing to require everyone to carry a national identity card that police may see upon request. The polling data also show that significantly more French speakers than English speakers see curbs on the display of religious symbols as a way to prevent radicalization rather than as an exacerbating factor, and more francophones support the view that religious minorities should abandon their customs and traditions. The book is based mostly on a set of surveys conducted by Leger Marketing on behalf of the Association of Canadian Studies, with backing from the federal Department of Public Safety. It contains no fewer than one hundred charts and tables, and much of the space between them is taken up with brief recapitulations of the statistical findings, which were drawn from Web surveys with minimum sample sizes of 1,500. Some results are broken down by age or gender, and others by language or religious group. Almost no regional breakdowns are provided, though French language is a reasonable proxy for Quebec. Numerous correlations are drawn between respondents’ views on distinct but related issues. The survey data begin with definitions of terrorism and its perceived causes and then move on to the factors shaping identity. One of the more interesting findings is that Muslims are more likely than members of other religious groups to “agree that religion brings people together more than it divides them.” They are also more tolerant of relations between members of different religious groups. Jedwab interprets this as showing a propensity to favour religious pluralism. Sadly, trust among Canadians toward Muslims is lower than toward other groups. However, no reasons are given, leaving room for conjecture. Not surprisingly, Muslims are more likely to agree that minority religions are misrepresented in Canada. 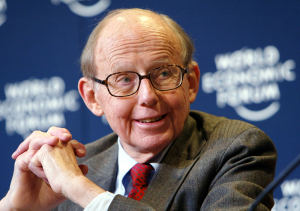 And, to Jedwab’s evident distress, large numbers of Canadians appear to accept the “clash of civilizations” thesis advanced by the late Samuel Huntington, suggesting irreconcilable differences between Western and non-Western societies. The book also examines the conflicts or phenomena that cause the greatest concern among Canadians. The 18-to-24 age group proved far less worried than their elders by Islamic fundamentalism and less likely to view military strength as the only way to deal with the threat of state terrorism. Television viewers (CTV viewers in particular) seemed more worried by the threat of terrorism than people getting their news from radio or print. Other questions ask which institutions are best positioned to deal with terrorist threats, or with individual or community responsibility to report such threats. These and similar issues have particular resonance in Quebec, for reasons peculiar to the province’s recent history and familiar to many Inroads readers. To recapitulate, in January 2007, the town council in the rural municipality of Hérouxville (with an immigrant population close to zero) adopted a Code of Conduct based on grotesque stereotypes of certain immigrant groups, prohibiting such practices as stoning women and burning them alive. Mario Dumont, leader of the Action Démocratique du Québec, exploited the reaction to help catapult his conservative nationalist party to second place in a closely fought provincial election later that year, relegating the Parti Québécois to a humiliating third place. Liberal Premier Jean Charest, who barely hung onto power, had sought to sidestep identity issues by appointing a commission on “reasonable accommodation” headed by Gérard Bouchard and Charles Taylor. Leading figures in the PQ vowed never again to let the party be outflanked on identity issues. One response, different in approach but capitalizing on similar anxieties, was the Charter of Values championed by Pauline Marois, who headed a shaky PQ minority government elected in 2012. The Charter affirmed the “religious neutrality and secular nature of the State” through measures that included a ban on religious headgear among public sector workers. Some found this ban difficult to square with the continued presence of a large crucifix in the National Assembly, left untouched by the Charter. The PQ sold the Charter as a way of reinforcing the separation of religion and the state, favouring gender equality, easing the integration of newcomers and countering terrorism. Emboldened by favourable poll results, Marois called a snap election but was trounced by the Liberals. The poll results had not indicated whether voters saw support for the Charter as sufficient reason to back the PQ. “The debate around Quebec’s Charter of Values serves as a prime example of just how divisive talk of shared values can be and the damage it can do to relations between communities,” Jedwab observes. The attitudes that produced support for the Charter among many French-speaking Quebecers are reflected in some of Jedwab’s polling data. For example, more than 50 per cent of French-speaking respondents agreed with the statement that “religious/cultural groups such as Jews, Muslims and Sikhs should abandon their customs and traditions and become more like others,” while fewer than 30 per cent of English speakers agreed. By way of explanation, Jedwab delves briefly into the threat of assimilation that has hung over French-Canadian society for centuries, at least since the Durham Report of 1839 calling explicitly for that society to be absorbed into the growing English-speaking population of Upper and Lower Canada. A lingering wariness toward outsiders is one outcome of this, particularly among older people. While one in three Canadians are prepared to give up some civil liberties to support counterterrorism, approximately 45 per cent of the population agree that limits to freedom of religion are necessary in the fight against terrorism, and 40 per cent agree that limits to freedom of expression are necessary in the fight against terrorism. 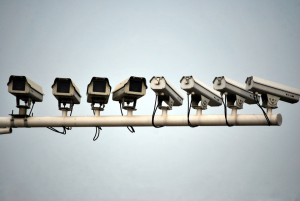 It is fundamentally important to strike a balance between the government’s commitment to ensuring the public’s safety and its commitment to safeguarding the civil rights of the public. When these objectives are cast as undermining each other, many Canadians should feel uneasy … It’s apparent that, in the immediate aftermath of a terrorist incident, governments feel compelled to act quickly to quell public anxiety, and such action may arise at the expense of civil liberties. Jedwab’s prose is less than scintillating, but the conclusions he draws are important. It is to be hoped that public policy makers will take note.